Product #60602 | SKU HLX-150AG | 0.0 (no ratings yet) Thanks for your rating! A deposit of $85.00 is required for this pre-order. 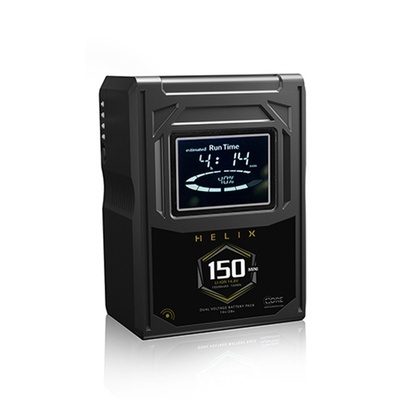 Core SWX HELIX 150 Mini 3-Stud is the most complete on-board battery system ever offered to the cinematic industry. The system encompasses all the features of Hypercore, with the added function of dual 14v/28v simultaneous voltage output, answering the call for better designed and performing, on-board high voltage solutions.